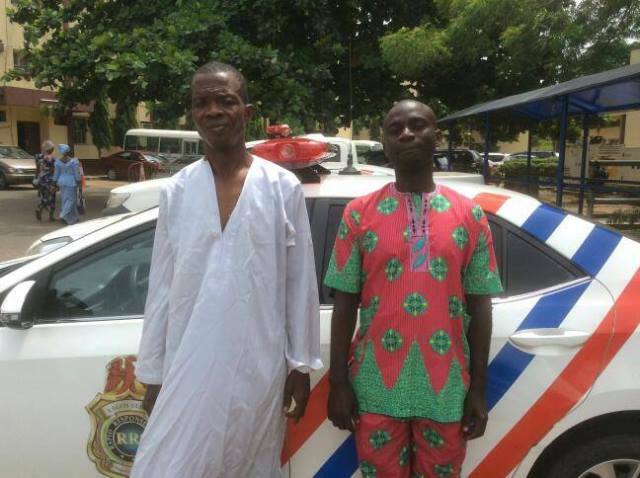 A man who identified himself as Moses Edwin, a prophet in one of the orthodox churches in Lagos was on Friday arrested by men of Rapid Response Squad of the Lagos State Police Command for stealing $500 belonging to a customer while trying to convert $5,000 into Naira. Edwin, 50, a bureau de-change operator was arrested beside Airport Hotel, Ikeja, along with another member three days after stealing $500 from $5,000 bills presented to them by one Adebayo Lookman for conversion into naira. Bayo Lookman, a member the National Youth Service Corp serving in Lagos, had in assisting her mother in the exchange of $5,000 to naira drove to Airport Hotel where he met Edwin. Edwin in changing the $5,000 in $100 notes promised an exchange rate of N387 to a dollar. He thereafter invited another member of his gang, Daniel Ebhohimen who together while confirming the dollars removed $500 before handing over $4500 back to unsuspecting Bayo in his car. According to Bayo, “I was trying to help my mum change the $5,000. I got to Airport Hotel and I met these men. After negotiating back and forth, they offered me N387 to a dollar. Edwin in his statement to the police, acknowledged the crime. He stated he never followed the gang to bank, adding that he only ordered his other gang members to finish up the transaction. He added that he was given N10,000 when they came back from the bank. Edwin there after assured the police that his gang was ready for amicable settlement by paying back the missing $500. The two suspects have been transferred to the State Criminal Investigation Department for further investigations. Kudos to the good guys for a job weldone,to some, this is no news, but to a reasonable, it is news, if crime of this magnitude is no crime, I need to be tutored on what crimes and criminality is... Keep on the good work RRS.